Birmingham’s leading arts organisations will get the chance to quiz the chair of Arts Council England at a special meeting in the city this week. 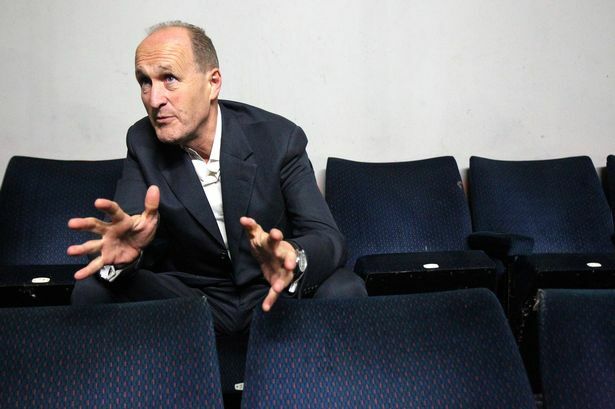 Sir Peter Bazalgette is meeting members of Birmingham Arts Partnership (BAP) at Birmingham Hippodrome as they continue to work on building a new model of arts leadership that will develop the region’s cultural offering at a time of widespread funding cuts. BAP is made up of the city’s 14 largest city centre-based arts companies and venues which have strategic relationships with Birmingham City Council and Arts Council England. The city’s cultural sector is facing a £2.6 million cut in council funding in 2016/17, with further significant reductions signaled for the following years. According to the city council, the annual budget for funding major arts organisations has reduced in total by £3 million (33 per cent) since 2010. BAP will use the meeting to stress to Sir Peter the special role Birmingham plays in the nation’s cultural sector and the growing significance of other city regions , combined authorities and LEPs. Other areas of debate include the development of a new partnership body in the city between the council, Arts Council England and the leading cultural players along with other partners to take responsibility for the city’s artistic vision and develop new income streams. The importance of making arts and culture more accessible and giving new impetus to arts education and re-balancing cultural investment outside of the M25 will also be raised during the meeting, on Thursday (March 12). Peter Bazalgette, said: “I’m looking forward to a productive meeting with the Birmingham Arts Partnership later this week. BAP made a detailed submission to the recent inquiry into the work of Arts Council England by the Select Committee on Culture, Media and Sport. The group welcomed the report and the commitment of the chair of ACE to achieving a better funding balance and to brokering new partnerships involving local authorities and LEPs. Chairs of BAP organisations met with Birmingham City Council leader Sir Albert Bore and senior colleagues at the end of February to discuss proposals it made in response to the council’s budget consultations. BAP has outlined a new approach for the city’s arts leadership and the management of its cultural investments.